Hey everybody! It's another fantastic Monday and that means another challenge with What Will You Stamp?! 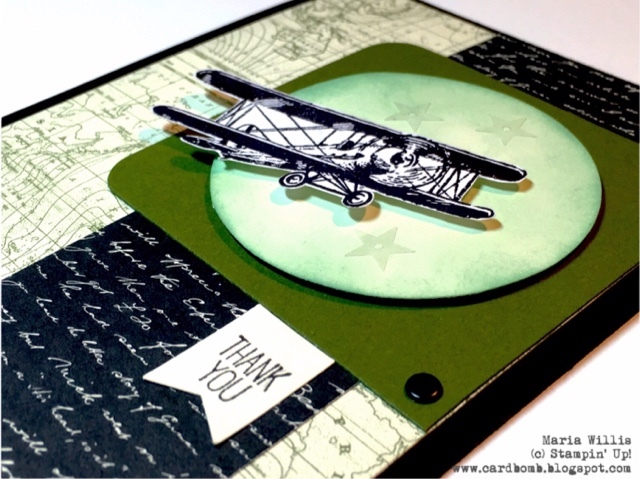 This week we are featuring a Sky is the Limit challenge! This is a stamp set that you cannot buy...You can only get it for FREE with any $50 USD purchase. It is only available for a limited time so make sure that you place your order to get it before February 15th. I had a lot of fun making this card and let me tell you that when I sat down to make it I had a completely different idea of it would turn out. But, hey, sometimes you just gotta roll with it! I used the Going Places DSP Stack (only eight bucks!!) which I absolutely love and paired it with Basic Black and Mossy Meadow. I sponged the circle behind the plane with Mint Macaron and added some clear star sequins from the Metallics Sequin Assortment with my fine tip glue. I added a couple of candy dots and a thank you banner and called it good to go! I like to finish the insides of my cards as well so I added a couple strips of the DSP that I used on the front. Here's what the whole Sky is the Limit set looks like. I really love it and hope you do too! Remember, if you want to own it, it's only available until February 15th! Do you have this set already? If you do I would LOVE to see your ideas too! 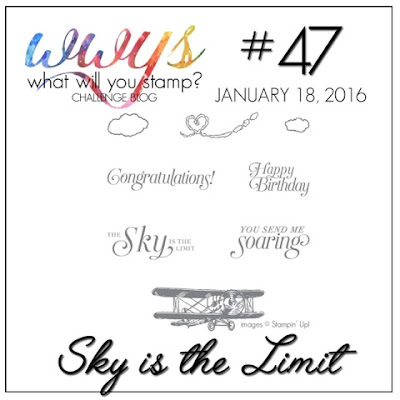 Please join us for this week's challenge over at What Will You Stamp?! If you want to see more great ideas for using this set please stop by and check out what the rest of the design team has come up with and check out our challenger's ideas too! Dial an age Birthday Card! 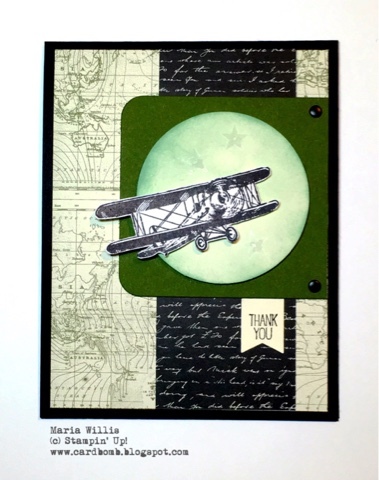 OSAT Blog Hop: No Rules New Year! Sale-A-Bration!! My Two Year Anniversary with SU!